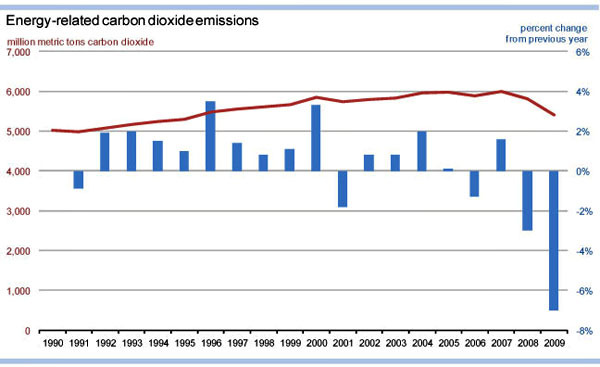 This just in from the EIA’s latest report: carbon dioxide emissions in the U.S. were down 7% last year. That’s on top of a 3% drop in 2008. This means that we’re already more than halfway toward our goal of reducing carbon emissions 17% from 2005 levels by 2020. About one-third of the reduction was due to the recession, one-third to reduced energy intensity, and one-third to the use of cleaner energy. Joe Romm has more.